We don’t have to tell you about numerous dangers lurking behind every corner on the Web. Just recently, we’ve witnessed dangerous ransomware/phishing campaigns, malware that comes your way through a Word document, and Trojans stealing cryptocurrency. And on top of all that, there’s unauthorized data collection all around the Web. This is why we’ll use this article to talk about the best solution right now – and that would be VPNs. If you’re a Windows user, you’ll want to know which VPN you should use. And after testing dozens of available options trying to find the best VPN overall, we’re here to give you some concrete suggestions. 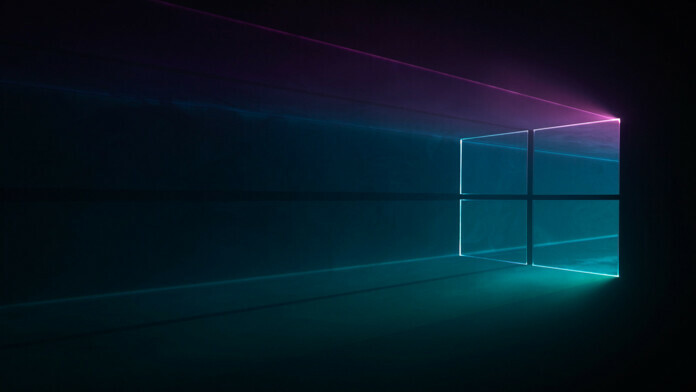 So, we’ll dedicate this article to find the best VPN for Windows in 2019. We’d like to say that we’ll present options that bring the best possible protection right now. All of these VPNs use the latest encryption, unblock new types of content, and of course – they’re specifically made for Windows PCs. Without further ado, here are the 7 best Windows VPNs as of April 2019. 1. ExpressVPN – #1 Best-Rated Windows VPN! ExpressVPN is an ideal VPN service for just about any kind of internet use. With servers in over 90+ countries, the VPN provider makes use of OpenVPN encryption. The encryption itself is military-grade and so is its implementation. There are no usage logs and the company has an impeccable reputation for providing great customer security. The logs for connection are aggregated, meaning they cannot be tied to individual subscribers. You receive terrific customer service with ExpressVPN. There is 24/7 live chat customer support that you can rely on in case anything goes south. Moreover, you can use ExpressVPN on three devices simultaneously. Want to go with ExpressVPN for Windows? Read our ExpressVPN review to get a clearer picture of the VPN. CyberGhost is a great VPN for Windows that is suitable for overcoming censorship and bypassing content that has been blocked. Thanks to the robust security policy, great features, and military-grade encryption, CyberGhost is one of the most recognized VPNs for Windows. It does install and works like a charm on Windows. Then, you have a 30-day money-back guarantee that lets you test the service. CyberGhost passed every benchmark test for VPNs. Servers are available in 60 countries around the world. In addition, the service comes with very secure encryptions and great speeds with HD streaming included. Need to know more about CyberGhost VPN? Here is TechNadu’s CyberGhost VPN review. We believe that Surfshark is a true gem, as this is a relatively new VPN that not many have heard about it still. And trust us, this one checks all the right boxes, and then some. First of all, Surfshark comes with a native Windows application and covers other popular platforms as well. It comes with AES 256-bit encryption, plenty of servers (just enough for average users), and you can use it on an unlimited number of devices. Then, there’s a very capable ad-blocker, and it fully unblocks all of the hugely popular streaming services (Netflix US, Hulu, and more). There’s truly a lot to like about this service, which is also quite affordable. To learn more, check our Surfshark VPN review. We simply mustn’t forget to mention NordVPN as one of the best Windows VPNs in 2019. This is a well-known brand that’s been on the market for a long time now, and it knows how to do things right. First of all, NordVPN comes with 5,000+ servers (check other VPNs with high server counts, by the way). It uses the strongest available encryption, has servers optimized for streaming and P2P, and it’s very to use as well. Let’s not forget that NordVPN does not collect any of your data, as a recent independent audit of its no-logs policy has proven. If you’d like a hands-on and behind-the-scenes look at this VPN, we present you our NordVPN review. Based out of Sweden, PrivateVPN is a great choice for a VPN for Windows. In fact, some of our reviewers loop upon PrivateVPN as one of the most economical VPN out there. With the service, you get a full-service VPN at a great price. Plus, you can choose from 56 server locations around the world. PrivateVPN also comes loaded with great surfing speeds, solid encryption, and a super smooth interface for Windows. PrivateVPN is also one of the best VPN services for using Netflix. You can use this VPN for connecting to Netflix in more than 16 different regions of the world. Need more info on PrivateVPN? Follow TechNadu’s full and comprehensive review of PrivateVPN to know more about its servers, user interface, and encryption. VyprVPN has the uncanny tendency of revving up lightning fast speeds when used on a Windows interface. The VPN service has apps for every platform and the software interface is remarkably simple for new users. Armed to the teeth, VyprVPN packs in DNS leak protection, a kill switch, stealth (chameleon) mode, and a lot more. Need more insight into VyprVPN? We have you covered with a detailed technical VyprVPN review. Buffered VPN works particularly well for Windows computers. The Hungarian VPN provider has a very high subscription rate, majorly because of the location in which it is based. At the time of writing, Buffered VPN has servers in 45 countries. While the number is fewer than most other VPNs, the servers are placed in highly strategic locations. The software comes with DNS (Domain Name System) leak protection and a kill switch as well. Plus, there is open port detection, where you can tap into hotel Wi-Fi without a password. Buffered comes with OpenVPN encryption, which is our recommended protocol for VPN encryption. Need a more illustrative insight into Buffered VPN? Read our comprehensive Buffered VPN review. Knowing your options is a good start. However, you surely have a least a few questions on your mind. So, we’ll try to answer them here. In the majority of the world, VPNs are perfectly legal to use. However, there are some countries that block VPNs and discourage their citizens from using this technology. To learn more, here’s the list of countries that block VPNs. Please note that if you live in any of those countries, be careful about using a VPN. First and foremost, check if you’re allowed to use this kind of software and in which way. Why Do You Need a VPN for Windows? We have seen governments press the ‘snoop’ button big time over the last few years. Even after some startling revelations, the government machinery in several countries has continued snooping on Internet sessions of citizens. So much so, some governments have passed laws that allow them to conduct surveillance. Thanks to revolutionaries like Snowden, people around the world have finally started waking up to the injustice. More and more people around the world are taking their privacy seriously. A VPN app for Windows is the top solution for those who want to protect their privacy online. Moreover, a VPN also helps you access websites that are blocked by ISPs. Government control of content that you can or cannot see is a dangerous thing. You could be stopped from getting unbiased news. The VPNs that we have included in this guide will help you pretend to be in a different country and overcome censorships and geo-restrictions. It’s all about claiming your own online freedom. So, it all comes down to how to choose the best VPN for Windows. And as you can imagine, there are numerous options out there that can easily overwhelm you. So, let’s start with the basics. First, we recommend reading our article on how VPNs work. This will give you a chance to learn how to differentiate VPNs and how to know which offer works for you. Then, you need to think of your planned online activities. For example, there are VPNs for torrenting and VPNs for streaming. Finally, our VPN Buyer’s Guide should be more than you’ll ever need to make the final decision. And if you don’t have the time to look up all your options (there are hundreds of VPNs, out there), simply go with ExpressVPN. This is a highly reputable VPN service with top-rated rankings – and it comes with a highly affordable price as well. How to Set up a VPN on Windows 10? All the VPNs we have included in this article come with custom Windows software. For the vast majority of Windows VPNs, all you need to do is subscribe, download the software, and install it. Credentials (username and password) to connect to the server. In case your VPN provider specifies a particular connection name, you might have to get that as well. While it is rare, a VPN may require you to configure your proxy settings manually. If that happens, you will need to get the proxy number and the IP address from the VPN service provider. For more information, here’s how to install a VPN on Windows. Which VPN Protocols Should You Use on Windows? As you surely know, Windows is perhaps the most flexible platform out there. Therefore, it’s not as surprising to know that every capable VPN brings a selection of VPN protocols to choose from. We’re talking about terms such as PPTP, L2TP, IPSec, IKEv2, and OpenVPN. If we want to keep things as simple as possible, we could say that OpenVPN is by far the best option out there. It brings strong security, in addition to fast speeds with minimal throttling. However, plenty more could be said on this topic – so, here’s our article on the VPN protocols out there. Do You Need a Windows VPN for Torrenting? When torrenting, your true IP address becomes exposed to a large group of P2P users. This way, someone can easily track what you do online, and they can even trace your IP to find your exact locations. Then, there are also ISPs (Internet Service Providers) that don’t allow P2P traffic. Once they see that you’re downloading a torrent, your Web speed will be throttled. Of course, a VPN is a proven solution to this problem. You can check the best VPNs for torrenting that come with optimized P2P servers. You’ll see ExpressVPN at the top of that list, which is yet another reason to subscribe to this service. Is it Safe to Use Free Windows VPNs? Free VPNs come with bandwidth and data limitations. They act as trial versions allowing you to test-drive their options before asking for money to unlock everything. Free VPNs bring subpar performance. Don’t count on downloading large files or streaming media from websites. Free VPNs can’t unblock websites. To be able to unblock Netflix, Hulu, and others, VPNs need to invest plenty of time and money into jumping over anti-VPN blocks. Free VPNs can’t keep you safe on the Web. Lastly, it’s a proven fact that these VPNs can leak your private data, and they can also collect your Web browsing history to sell it to advertisers. You should definitely stick to proven options, like ExpressVPN. This one will certainly meet all your needs and will surprise you with its capabilities, features, and performance. In this guide, we have explained to you the most important facets of getting a VPN for Windows. We hope this will give you a clear understanding of choosing a VPN for Windows. Since we are all at the risk of private data being sold to bidders, we recommend everybody to use a reliable VPN service. Liked this article? If that’s so, make sure to share it online. Also, follow TechNadu on Facebook and Twitter to get the latest news first. Thanks!